Cost to install a wire fence varies greatly by region (and even by zip code). 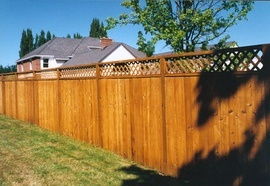 Get free estimates from fence contractors in your city. Cost to install a wire fence varies greatly by region (and even by zip code). The average cost of installing a wire fence is between $860 and $1,100. How much does it cost to install a wire fence? A fence is either an inexpensive barrier to keep something out or a partition to keep something in. In the terms of agriculture, the farmer keeps his livestock in; the gardener keeps the deer out. Wire fences are inexpensive and will serve their purpose quite well. They can also be used as a barrier to keep certain predators away from your garden, baby chicks, and such. It can also be used for security by bordering your property with a wire fence, it will keep people from trespassing. Fences can run from 3'to 6' tall depending on the use. A privacy fence 1 is typically taller. For the purposes of this article, we will go with a 4' fence since that is a common height for a wire fence. It can also be used as a barrier to keep certain predators away from your garden, baby chicks, and such. It can also be used for security. By bordering your property with a wire fence, it will keep people from trespassing. The average cost of installing 200 feet of barbed or coated wire fence is around $860-$1,100 professionaly installed. Fence posts 2: every fence will need posts. They are the supporting structure of the fence. Steel posts like you see with wire fences cost anywhere from $10-$40 a piece depending on length and strength. Also, needed are large wood fence posts 2 (6"-8" in diameter) to build the corner posts for added strength. These posts are set deep into the ground, at least 3’. 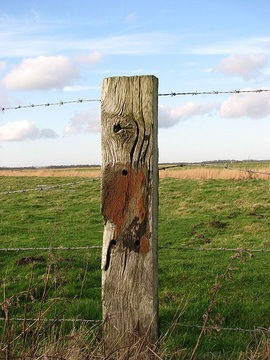 Staples or nails are used to attach the wire fencing to the posts. The staples come in a variety of lengths and weights. A box of staples can run from $9-$23 per one pound box. As discussed above, barbed wire ($1.48 per foot) is smooth wire that has barbs woven into it every few inches. Razor wire ($0.93 per foot) is similar to barbed wire in that sharp edges poke out at intervals along the central strand of high tensile. The razors are not individual pieces but rather a steel tape that has the razors cut into it. The tape is then crimped to the central strand. Therefore, these two wires are similar, yet different: the barbed wire is not high tensile as is the razor wire whereas razors are a lot more damaging than barbs. Even with their differences they can be used for the same thing; primarily to fence in (or out) livestock. 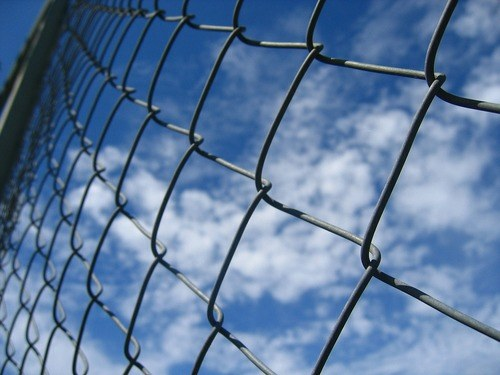 You do see razor wire on top of prison walls and other places that need extra security. Professional fence installers charge $40-$60 per hour. The length and complexity of fence will determine the time it will take to install your fence. It is wise to get a couple of estimates if available in your area. For example, 100 feet of fencing with 5 strands will take approximately 10 hours. Taking the average cost per hour of $50, the installation will be $500. There are several benefits to an electric fence that one might not consider at first glance. Safety: electric fencing is actually safer for your livestock than barbed or woven fencing, because it its less harmful than other fence systems that cut, gouge, and scrape which could cost you in veterinarian bills. Flexibility: you have flexibility to design your enclosure how you want to with various shutoffs that allow you to turn sections of fence off or on as needed. Installation: Installation is easier, because there are no barbs to work around, which will save time and money. Affordability: electric fences offer significant cost savings over other fencing systems such as wood, rail, vinyl 3, woven wire or barbed wire. A fence of 200 feet installed by a professional would cost approximately $983 using high tensile wire. However, there are additional supplies on top of posts and wire to consider when installing an electric fence: insulators ($13 a bag of 25), springs ($70 a bag of 10), strainer and handle ($16), energizer ($30), cut-out switch ($11), and grounding rods ($48). To make the most of your fence, you’ll likely want to install a gate to give you access to the area. A typical gate costs around $60 for a 4-foot gate and $100 for a 6-foot gate; gate install costs are usually included in the cost per linear foot of installation. Fencing is tough work and it will serve you well to have 1-2 others helping on this job. A post hole digger or auger would help to go the distance as well. 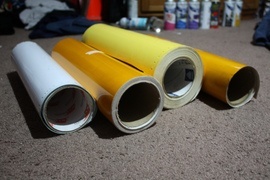 Doing this project yourself will save money but most likely not time. However, there are several benefits to having your fence installed by a professional: experience and expertise, they will complete the job sooner and save you the headache of measuring,proper equipment, each type of fence requires special tools,the professional will already own these tools and save you from having to rent or borrow the tools, and increased property value, the professional fence will be done right with little to no mistakes, and will make your yard or property stand out from the rest. In most states, you must call Dig Rite before you dig (or the utility companies). It will make the digging process safer and avoid hitting any underground utilities, which would mean higher expenses in fines and repairs. Some states have laws or ordinances regarding how close to the road or property line a fence can be built. Also, the height of the fence may be governed by ordinances. Home Owner's Associations may have covenants above what type of fence can be built and where it can be built. Some states also have specific rules of how a fence is to be built concerning height, distance between posts and such. Fencing laws vary from state to state, check with your local authorities for specific requirements. The average cost of 200 feet of barbed or coated wire, with a gate, professionally installed is between $860 and $1,110. How much does it cost to put up a chain link fence? The average cost of 200 linear feet of 4-foot high chain link fencing with a gate is around $3,000. How much does it cost to build a fence for cattle? A wire fence used for livestock costs around $860 to $1,110 for 200 feet with a gate. How much does it cost to get a new fence? A new wire fence costs between $860 and $1,110 for 200 feet, while a new chain link fence costs around $3,000 for the same amount of fencing. The average cost to install an invisible fence around 1 acre of land is around $700-$1,000. How much does an invisible fence cost per foot? The cost of the wire for an invisible fence costs around $0.60 per square foot. The transmitter and collar for the system cost around $300-$50. How much does it cost to install a wire fence in my city? Cost to install a wire fence varies greatly by region (and even by zip code). To get free estimates from local contractors, please indicate yours. We have also added an image of the project and a summary at the beginning with the cost of installation to help the user better understand the project, and an index to take you directly to any part of the guide.